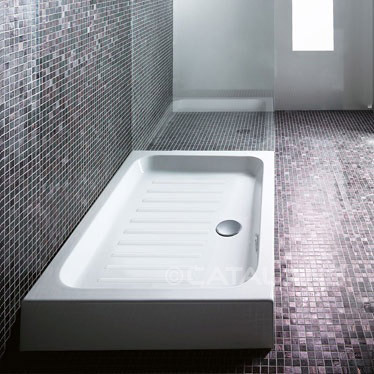 Ceramic Shower Tray 100x72 - Carini Stores Ltd.
Rectangular ceramic shower tray, 100 x 72 cm sized x 11 cm height. For laid on installation. With 3 glazed sides and embossed anti-slip finish.